You can trust Adventure Life's Peru Machu Picchu experts to help you design the perfect tour to Machu Picchu just as thousands of elated Adventure Lifers that have traveled before you. We understand that for most people, visiting Machu Picchu is a once-in-a-lifetime trip, and we'll make sure every detail is perfect. From our base in Cusco, we'll explore the Sacred Valley of the Inca and take the train to Machu Picchu Village at the base of Machu Picchu mountain. For the adventurous & fit, hiking the Inca Trail to Machu Picchu is one of the world's most spectacular, must-do treks. 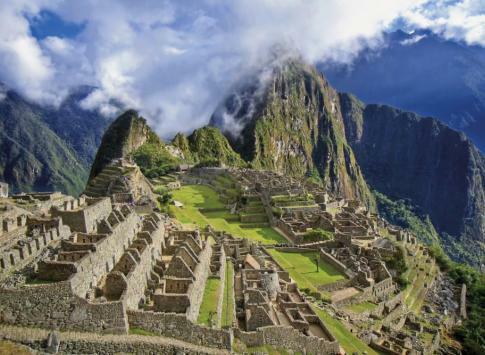 Four hundred years after the conquest, Hiriam Bigham "rediscovered" Machu Picchu, and now, you too can discover Machu Picchu for yourself with Adventure Life. Contact us to start planning your trip to Machu Picchu today. We visit the most important Inca ruins such as Sacsayhuamán during Inti Raymi Festival, Pisac, and Ollantaytambo, and we spend two days exploring the Lost City of Machu Picchu. 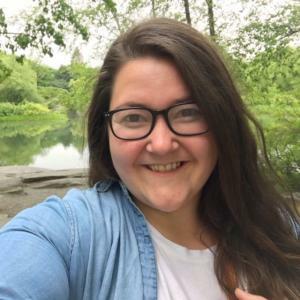 This is an easy paced weeklong journey perfect for anyone with a sense of curiosity and adventure. This tour includes Peru's greatest highlights - Islas Ballestas and Paracas, the Nazca Lines, Colca Canyon, the islands of Lake Titicaca, Cusco and the Lost City of the Incas--Machu Picchu. A journey of the best Peru has to offer fit into a two week tour. 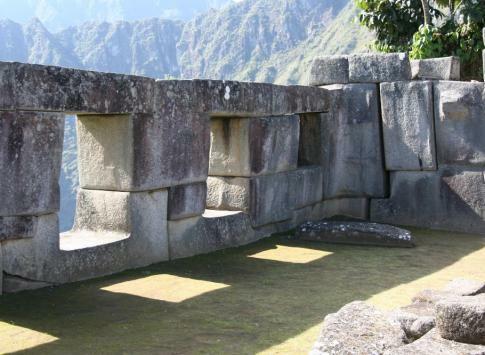 Our mainstay Machu Picchu trip with luxury accommodations. We visit the most important Inca ruins such as Sacsayhuamán, Pisac, and Ollantaytambo, and we spend two days exploring the Lost City of Machu Picchu. This is an easy paced weeklong journey perfect for anyone with a sense of curiosity and adventure. The most popular way to visit Machu Picchu is boarding a panoramic train near Cusco, passing through the Sacred Valley and Ollantaytambo before arriving to Machu Picchu Village (Aguas Calientes) and the legendary ruins high above. Create your own custom package to Machu Picchu. One of the world's premier treks, the high-altitude Inca Trail to Machu Picchu reaches nearly 14,000 feet hiking over four days before culminating at the glorious ruins of Machu Picchu. All travelers must acclimatize before starting the trek, and all our trekking packages except the 5-Day Inca Trail express and the Short Inca Trail include acclimatization days in Cusco and the Sacred Valley. New for 2019, the 7-Day Short Inca Trail hikes 1-day on the Inca Trail (no permit required) and arrives at the same Gate of the Sun at Machu Picchu. Create your own custom Inca Trail package. 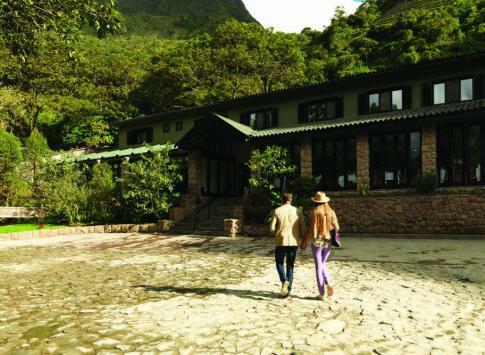 These hand-picked hotels & lodges have been chosen for their exceptional service, local personality, and easy access to the top attractions in Aguas Calientes (Machu Picchu Pueblo), including hourly buses to the entrance of Machu Picchu itself. The Gate of the Sun, entrance above Machu Picchu where the Inca Trail enters the citadel. The vast majority of travelers get to Machu Picchu by taking a flight to Lima, then another flight to Cusco, then taking the train from just outside Cusco (Poroy Station), passing through the Sacred Valley and arriving to Aguas Calientes, a.k.a. Machu Picchu Town. From Aguas Calientes it's a short shuttle ride along the Urubamba River and then up the zig-zag switchbacks to your destination high on the mountain top: the legendary Ruins of Machu Picchu. If you have time, it's highly recommended to spend a night in Aguas Calientes so that you can visit the ruins at Machu Picchu early in the morning before the crowds arrive on the mid-morning trains from Cusco. The most adventurous will hike the Inca Trail to Machu Picchu, a 4-day high altitude trek culminating in watching the sunrise at the Gate of the Sun overlooking Machu Picchu. The Peruvian government has signed a construction contract for a new airport beside the picturesque colonial village of Chinchero. The airport in Cusco has a limit of 2 million travelers per year keeping the traffic of people in the area under control. This new facility will be able to serve 5 million people upon opening in 2020. Upon arriving in the Inca capital at Cusco, many prefer to head straight away to the lower-altitude Sacred Valley and get their first introduction to the world of the Inca here. Ollantaytambo is an Inca fortress and historical town built primarily with Inca stone where you can climb to the top of the ruins overlooking the town and the Sacred Valley. Hike the Inca Trail from outside of Ollantaytambo (at KM 88), and you will experience the route to Machu Picchu on foot, just like the Inca did centuries ago. Aguas Calientes - This is the bustling town at the foot of Machu Picchu mountain where you'll disembark from the train and find boutique hotels, quaint cafes, myriad restaurants, and souvenir shops. Pisac is a small market village (main market day is Sunday) at the base of a towering Inca fortress surrounded by terraces overlooking the Sacred Valley far below.